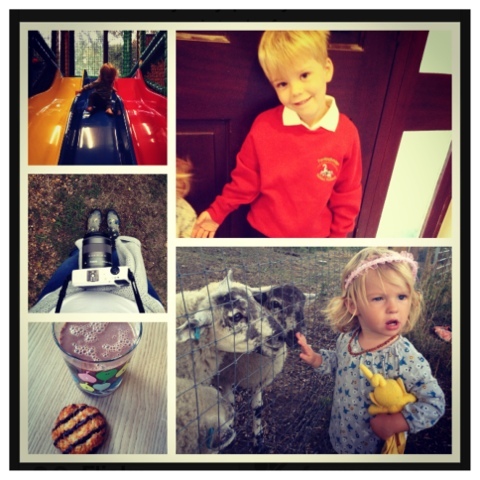 Alister had his first morning at school today.. Complete mixed emotions for me.. I woke feel good , he on the other hand was bright & perky and couldn't wait to get his uniform on! And my did he look so grown up once in it! While AlIster did his 3 hrs in school me and violet headed to soft play for a bit of fun , she napped on the way home which ment I could get in with filming/ editing & cleaning of corse!! For snack I had chocolate coconut milk which is delicious .. With Mrs Crimbles chocolate macaroon! When I picked Alister up from school he was beaming.. Ran out the door with his book bag & a sticker. 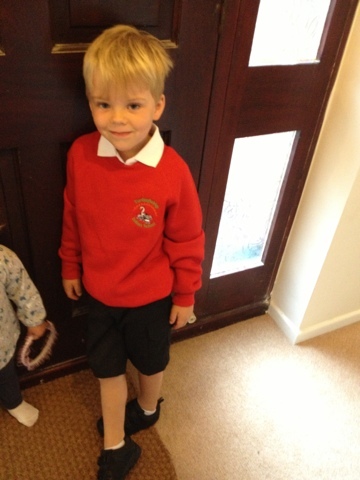 His teacher Mrs Crump said how well behaved he's was! So glad he had a great first day! !